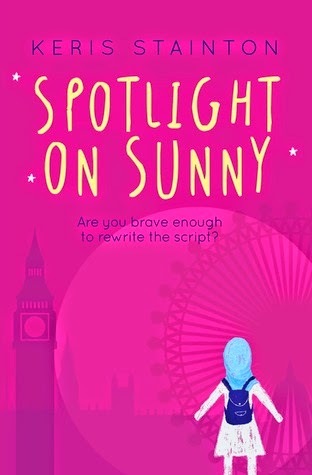 A story about discovering who you are, sorting out friendships and family relationships, also exploring what it is like to grow up as a Muslim in Britain. It is no secret that I am a huge fan of Keris Stainton's work. Her books are my sort of books and I also enjoy them. This series in particular has been one I've had my eye on since the first book was announced and after loving Starring Kitty I was very excited to get my hands on this. I actually agreed to read it electronically which is something because I hate my kindle with a passion. Happily for me this book was exactly what I was hoping for. It was so cute. I loved the messages it had. It openly challenges stereotypes about how women decide to dress and the way people treat women based on what they decide to wear. The book had a truly diverse cast of characters which was awesome rather than being a purely white, straight and able bodied cast. For me the thing this book did more than anything else was give the reader a really eye opening insight into the life of Muslim teens in Britain. For this reason I think it is a really important book for educating teenagers about negative stereotypes our media is rife with particularly at the moment. All in all this book is really well done and generally just fabulous.